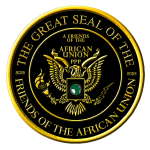 Friends of the African Union – We can be a change Africa needs – now . The 2019 American National Border Security and Illegal Aliens Debate has started. 2019 US Presidential Proclamation on Martin Luther King, Jr.